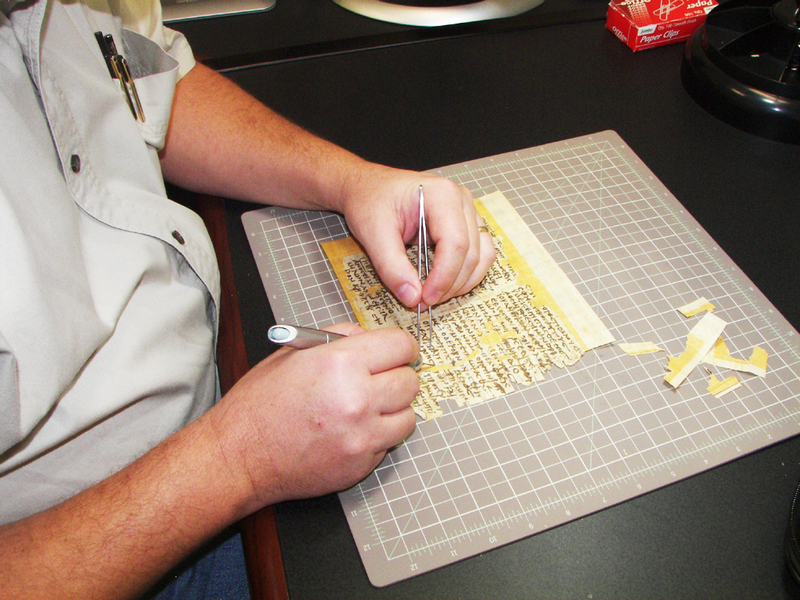 The Center for New Testament Textual Studies is a research center devoted to the study of the New Testament text in the original Greek manuscripts. To advance the possibilities of NOBTS students along with visiting scholars and students to engage in intensive study of the NT text and the field of NT textual criticism. The Center provides opportunities for the study of the NT text for visiting scholars and students as well as for NOBTS students. Visiting scholars and students should contact Dr. Bill Warren to arrange for study in the Center or for workshops and pracitica on textual criticism, manuscript analysis, and paleography. and participation in the current projects at the Center. 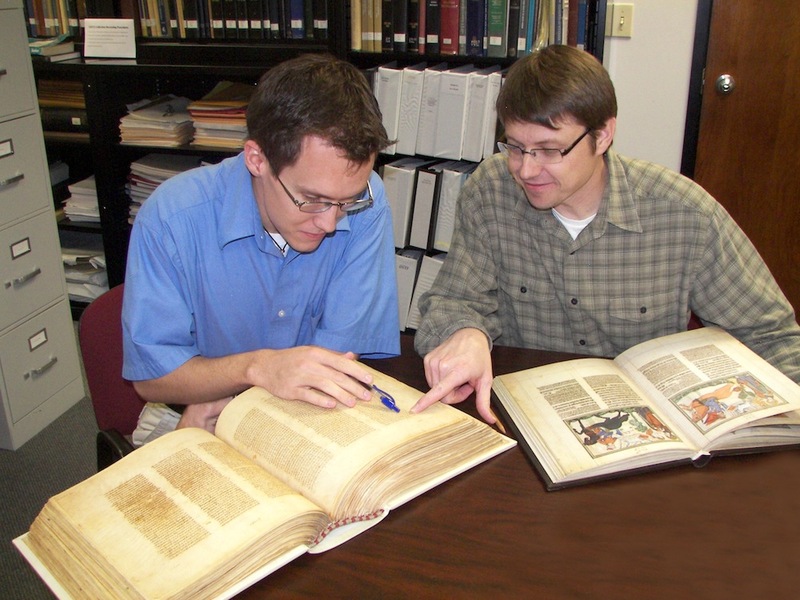 As funding allows and based upon the needs in the field, the Center works to increase access to NT manuscript data through the filming of manuscripts as well as on-site collations of manuscripts in settings not open to filming. The Center for New Testament Textual Studies was founded in 1998 as a research center under the umbrella of New Orleans Baptist Theological Seminary. The Center was the outgrowth of work in the area of NT TC done by Dr. Bill Warren and housed in his office prior to the Center. In the summer of 1998, the vision gained permanence when Dr. Charles Kelley, the President of NOBTS, gave approval for the starting of the Center and granted space for the facility. The facility was furnished by the seminary and funds were supplied for the acquisition of microfilms in order to expand the manuscript collection. In 1999, the first research assistant was employed in the Center, Dr. Jin Sup Ahn, who was a Ph.D. student in NT at that time. He worked 5 hours per week in the Center at first, then as funding became available expanded to 20 hours per week. Bob Cole, another NOBTS student, became the first full-time researcher in the Center in September 1999. Currently, in addition to the director and a full-time secretary, several work in the Center as researchers, with work time varying anywhere from from 10 to 30 hours per week. In 2010, the Center reached a milestone with the completion of the world's first comprehensive searchable, electronic database of variants in the entire New Testament. The database has been used as a module for Accordance Bible Software and will be available on BibleWorks Software in the future. 2010 also marked the beginning of a new project: an English-based exegetical commentary on selected variants found in the Greek NT. Other projects include the creation of replica NT papyri for the purposes of study and display, as well as collaboration with the indexing of manuscripts for the Virtual Manuscript Room of the INTF. The Center is located on the campus of New Orleans Baptist Theological Seminary in the Hardin Student Center. Current facilities include: several research stations; a study area; a reference library of major text-critical works; a collection of manuscripts in digital, microfilm, facsimile, and hard-copy forms as well as services for acquiring manuscripts by loan; a microfilm reader-copier for examining and copying the microfilms; and a database of manuscript evidence compiled by the CNTTS. The Ph.D. degree program at NOBTS is fully accredited by both SACS and ATS. The program is a resident research doctoral program, offering specialized studies in such areas as textual criticism, Synoptic studies, Johannine studies, Pauline studies, Hebrews, and Apocalyptic literature. Interested persons should contact the Research Doctoral Programs office for further information on entrance requirements, applications, and deadlines.